Totally rebuilt in 2004, and with a major refit in 2017, she now has a completely new interior and deck set up by Mare e Terra, the French luxury hotel developers. Her new interior design is comfortable, elegant and versatile, with a 7 cabin arrangement which is particularly suitable for large numbers of guests. 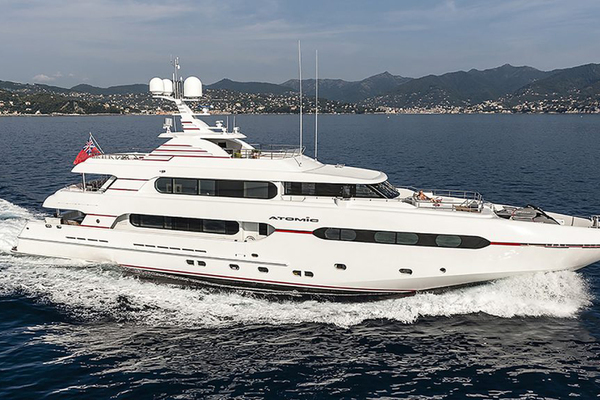 She offers enormous deck areas, Jacuzzi, and an open air cinema. Her classic lines combined with a tasteful interior refurbishment and excellent maintenance record ensure "Menorca" is ready for her new owner. United Yacht Sales New Jersey would love to guide you through a personal showing of this 159' Botje Ensing 48.5m Canoe Stern 1961. 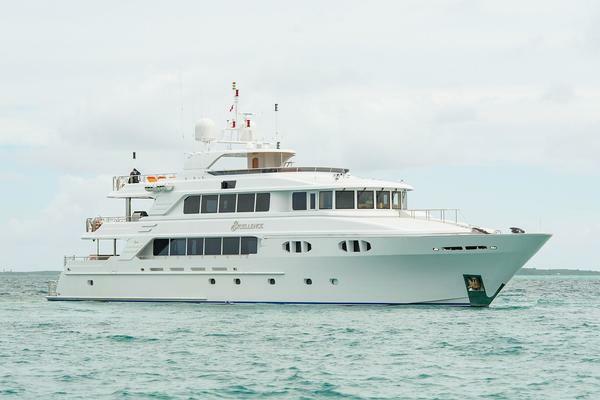 This yacht for sale is located in Menorca Spain and priced at $7,500,000. For a showing please contact us by filling out the form on this page and we will get back to you shortly! Owner/Guest Accommodations:5x Guest cabins on the lower deckwith convertible double/twin berths Master cabin with double berthon the main deck VIP cabin with double berth, main deck All cabins areensuite with large shower rooms, wardrobes, night stands,flat screen TV's & A/V system Crew Quarters:Lower deck: Port crew mess Port crew cabin with 3x single berths Starboard crew cabin with 3x single berths Stb crew cabin with 2x single berths All crew cabins with ensuite heads/showers, wardrobesBridge deck:Captain's cabin with single berth to starboard Engineer's cabin with 2x single berths to port Bridge deck cabins equipped with flat screen TV's The Main Salon has floor to ceiling windows, sofas, a piano and large TV. The Sundeck features a Jacuzzi with lounging area as well as outdoor cinema, and is equipped with Dolby surround sound system. "Menorca" is a custom motor yacht built by the Dutch shipyard Botje Ensing, delivered in 1961 for Baron Allard. She was previously "Zurga" and "Agapee." She has hosted numerous royals and celebrities in her time. Totally rebuilt in 2004, and with a major refit in 2017, she now has a completely new interior and deck set up by Mare e Terra, the French luxury hotel developers. Her new interior design is comfortable, elegant and versatile, with a 7 cabin arrangement which is particularly suitable for large numbers of guests. She offers enormous deck areas, Jacuzzi, and an open air cinema. Her classic lines combined with a tasteful interior refurbishment and excellent maintenance record ensure "Menorca" is ready for her new owner.